Vaunix has announced their attendance at the 2018 International Microwave Symposium in Philadelphia, PA, June 10th through 15th. 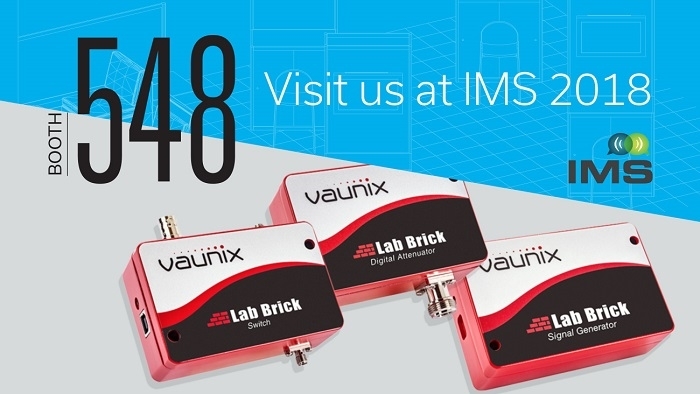 Representatives from Vaunix will be available at booth #548 to meet and discuss the latest developments in their portable, programmable lab bricks. During IMS, industry leading companies will represent state-of-the-art materials, devices, components, subsystems, as well as design, simulation software and test/measurement equipment. This exhibit will draw more than 800 industry leaders, showcasing the latest developments in microwave devices and products, explaining the technology behind their devices and highlighting their applications. SemiGen is happy to be among them. IMS 2018 will provide technical programs, networking opportunities and social events, allowing attendees to interact with exhibitors and members of the industry. Click here for more updates from IMS 2018.